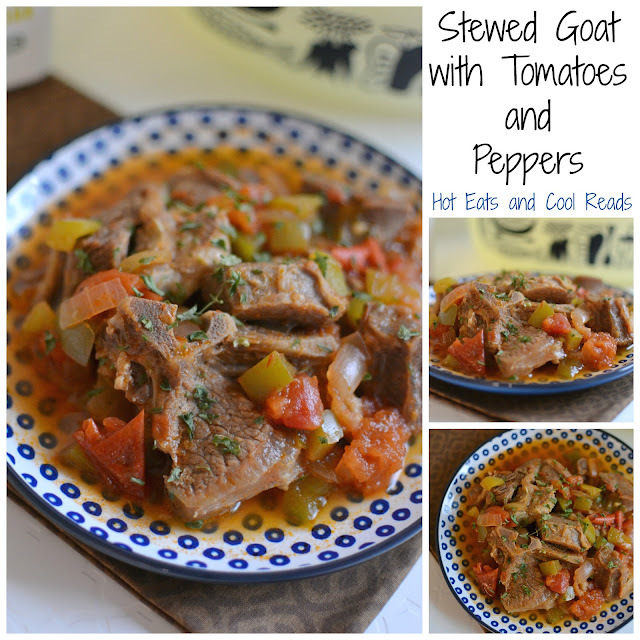 Slow simmered to perfection! Tender and flavorful! 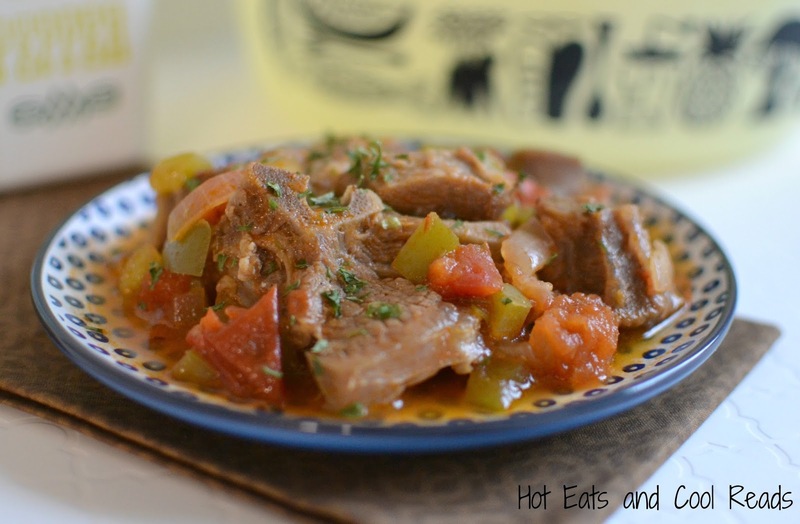 Also delicious with beef and serve over rice for a complete meal! 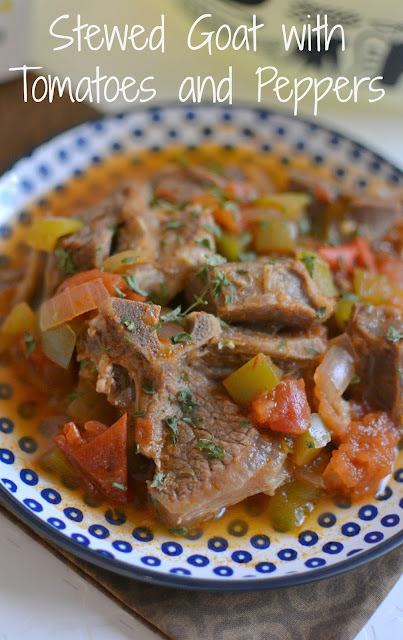 Today's post isn't your typical beef, chicken or fish recipe. In fact, it's an amazing recipe for goat! My boyfriend is originally from Burkina Faso, so since we've started dating, goat and lamb have become a regular thing in my diet! I do have to say I really love both of them, and it's been great to change things up a bit from the typical meats I usually prepare! After doing some Pinterest and Google research, I realized that mutton is a term used for both lamb and goat. I guess I've only ever called it lamb or goat meat, so it was interesting to me that it is used for both. You always have something new to learn when it comes to foodie facts, terms and names! 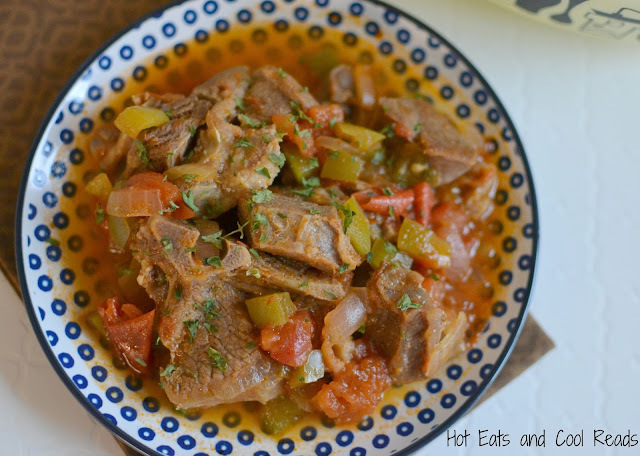 This recipe is super tasty and the meat is slow simmered and SO tender! The tomatoes, onions, peppers and garlic add a ton of flavor. We love it served over rice, but it's also delicious with some mashed potatoes or couscous. We are fortunate to have quite a few small African and Somali grocery stores in our city where you can by goat meat, so it's fairly easy to find. I'm not sure if local grocery stores in other cities have it available, or if you have to find a small butcher shop to purchase it at. If you can't find any at all, then beef would be a great substitute! Follow the same cooking directions if the beef you purchase is bone in. This recipe is pure comfort food to me! Whether it be new recipes to our family like this goat or Riz Gras, or the good tried and true classics such as Beefy Tomato Macaroni Soup, Hamburger and Mushroom Gravy, or Marge's Wild Rice Soup, they are all amazing and delicious comfort foods! I just love those meals that make you feel so good! They are the best when sharing with friends or family, and everyone has a full belly when they leave the table! In a large soup pot, add the goat, green onions, garlic, water, salt and pepper. Bring to a boil, then cover. Reduce heat and simmer for 40 minutes. Drain off liquid and set goat aside. In the same pot, heat olive oil over medium high heat. Add goat and sear until browned on all sides then reduce heat to medium. Add remaining ingredients, bring to a boil, then cover. Reduce heat to medium low, and simmer for another 45 minutes to an hour, or until meat is tender. Remover from heat and serve with rice.